Imagine a lamp. Any lamp. Now imagine having to water it. 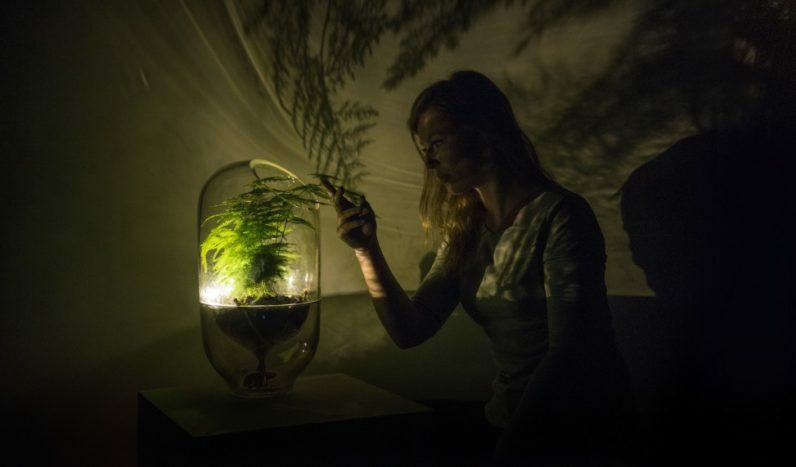 Dutch product designer Ermi van Oers created Living Light: plants that double as lights. Or lights that double as plants – whichever way you prefer looking at it. The lighst run on electricity generated by bacteria in the soil. Here’s how it works: during the process of photosynthesis plants release organic compounds in the soil. This causes bacteria to generate electrons and protons, which are then used in a similar way to a traditional battery. And here’s the fun part: healthier plants produce more energy. If you take care of it properly, the Living Light will produce up to 0.1 mW. Enough to use it as a night lamp, but not sufficient to properly light a room. Computers will soon be able to fix themselves – will that kill IT departments?